As winter is dying down, flowers and newborn animals are beginning to repopulate the earth and that can only mean one thing…spring time! Time to get your cobwebbed tools out of your garage and start making your yard look beautiful again, and that includes your deck. If you have a composite deck, chances are there was some damage because of water getting into cracks, mold and mildew growing, etc. Which means you’re going to have to get it fixed. However if you built your deck with a strong and dense decking hardwood, like Ipe, rest assured it would still be in pristine condition. Ipe is known for being an extremely dense hardwood. That is what makes it great in wet and cold climates. Because of its density, moisture is not able to create problems that softer deck materials are known for. 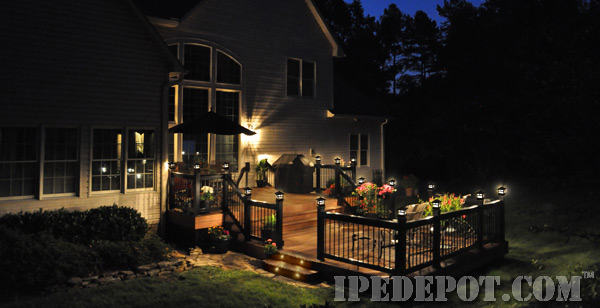 Therefore Ipe is able to stay in its original form longer and less likely to become damaged. 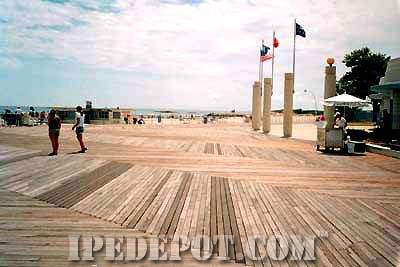 Ipe decks can be found in some of the coldest cities in North America stretching from the Green Bay boardwalk in Wisconsin to the Toronto Wave decks in Ontario and the Ocean Beach boardwalk in Connecticut. 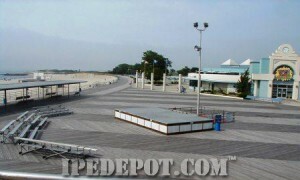 These three cities chose Ipe decking because they knew Ipe could stand against their bitter winters and monstrous foot traffic. In the early 2000’s, the Ocean Beach Park residents realized their beloved boardwalk was slowly deteriorating. Home to dozens of cafes, shops and a even carousel, they knew they needed a strong decking material to host tourists and residents alike. 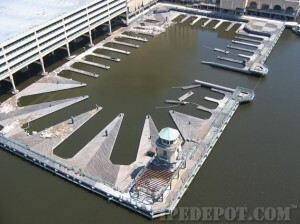 They wanted a decking material that could withstand harsh climate conditions and resistance to water. They went with Ipe because of its proven 75+ year lifespan, natural decay resistance, and the fact it needs little to no maintenance. Almost 10 years later, their half mile long boardwalk is still up and running with no complaints of splinters. DO NOT SALT YOUR DECK. I REPEAT DO NOT SALT YOUR DECK! Putting salt on your deck is a nice idea but salt dries your deck which can make it crack. When boards are cracked moisture can get into the boards where they will later freeze and cause even more damage to your boards. An Ipe stain helps keep your boards from aging. Be sure to brush off any debris or dirt before winter hits because you don’t want it to become trapped in between your decks gaps causing mold or mildew. 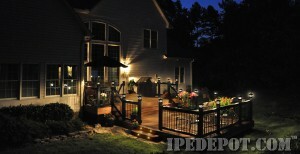 To learn more about Ipe and to get a free Ipe quote check out IpeDepot.com.